Chelsey Albert stars in “The Musical Comedy Murders of 1940” at the CTG. The Canyon Theatre Guild in Old Town Newhall stages a pair of plays in late September and October, the satirical “Musical Comedy Murders of 1940” premiering on Friday, Sept. 28, and the dramatic “The Giver” opening on Saturday, Sept. 29. “The Musical Comedy Murders of 1940″ is an ingenious and wildly comic romp which was a hit both on and Off-Broadway. The show pokes antic fun at the more ridiculous aspects of “show biz” and the corny thrillers of Hollywood’s heyday. The story begins as the creative team responsible for a recent Broadway flop (in which three chorus girls were murdered by the mysterious “Stage Door Slasher”) get together for a backer’s audition of their new show. They meet at the Westchester estate of a wealthy “angel,” and the house is replete with sliding panels, secret passageways and a German maid who is apparently four different people. The laughter is non-stop as those assembled (or at least, those who aren’t killed off) try to untangle the mystery of the “Stage Door Slasher,” who reappears and strikes again. To add to the “suspense,” a blizzard cuts off any possible retreat, bodies start to drop in plain sight, knives spring out of nowhere and masked figures drag their victims behind swiveling bookcases. Add to this a bumbling police inspector, and you have the recipe for a side-splitting good time. The cast includes Chelsey Albert as Helsa the maid; Nancy Lantis as Else von Gossenknueten, the “angel”; Joe Roselund as the director, Ken de la Maise; Chelsea Spirito as the aspiring actress, Nikki Crandall; Patrick T. Rogers as Eddie, Marc Deagon as Michael Kelly; Patrick Mannion as Patrick O’Reilly; Rosemary Moffat as Marjorie Baverstock; Barry Agin as Roger Hopewell; Jackie Guin as Bernice Roth; and Marcus Langston as The Slasher. The show is under the direction of Randy Aronson. “The Musical Comedy Murders of 1940” will have performances at 8 p.m. on Sept. 28, 29, Oct. 6, 13, 19, 20, 26 and 27. There will be two Sunday matinee performances at 2 p.m. on Oct. 7 and 21, and one Sunday evening at 6 p.m. on Oct. 14. Tickets are $12 for juniors and seniors and $15 for adults. 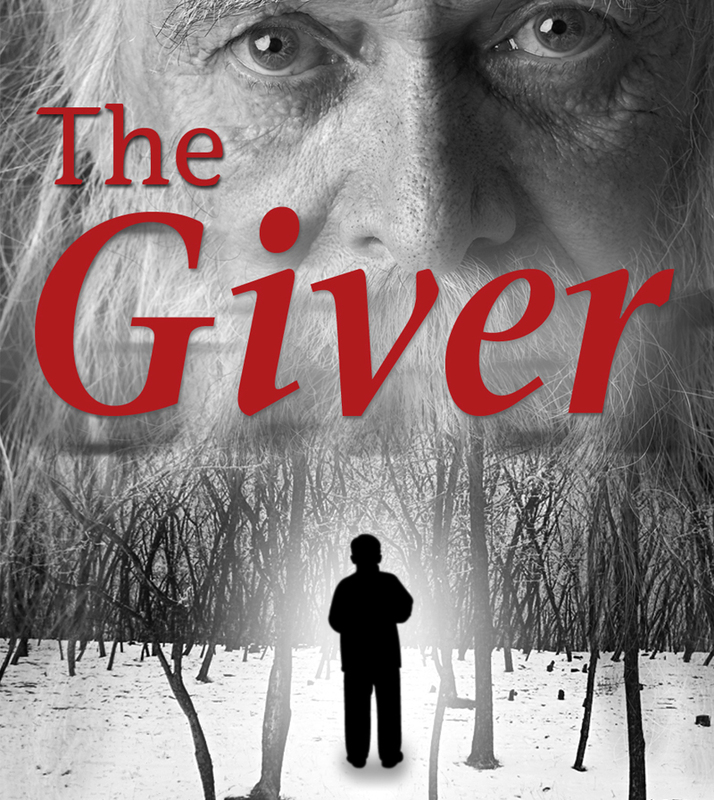 Based on a Newbery Award-winning novel by Lois Lowry, the CTG’s production of “The Giver” introduces audiences to a boy who lives in a world where everything is under control and safe. There is no war or fear or pain. There are also no choices. Set in a society which is at first glance utopian, we come to see that it is more and more dystopian. Every person is assigned a role in the community, but when Jonas turns 12, he is chosen for special training from The Giver — to receive and keep the memories of the community. Jonas learns the truth about life — and the hypocrisy of his world. Through this astonishing and moving adaptation, Jonas discovers what it means to grow up, to grow wise, and to take control of your own destiny. “The Giver” is not recommended for very young children, but the book is on the reading list of many middle schools throughout the country. Be brave, see it for yourself. Performances are at 2 p.m. on Sept. 29, 30; Oct. 6, 13, 24, 20, 27; and at 6 p.m. on Oct. 7 and 21. Tickets are $12 for juniors/seniors and $15 for adults. Special student tickets are available for $10. The Canyon Theatre Guild is located at 24242 Main Street, Old Town Newhall 91321. For more information, tickets and reservations, call the CTG box office at 661-700-2702.